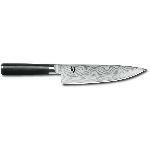 The Shun Pro knives complement the Shun series . 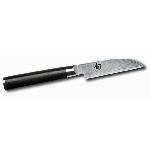 The single-edged Japanese blade shape acts like a plane and allows a highly accurate fine cut . 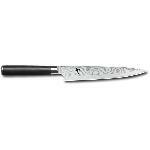 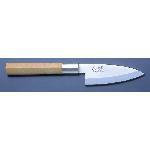 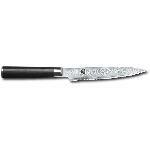 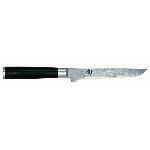 With this knife series is different from the Shun series only the core material , the V - Gold steel used .